Home » This Weeks Historical Events » Historical Events (September 24–October 1): Where were the Cubs? The last game of the first official National League season is played. 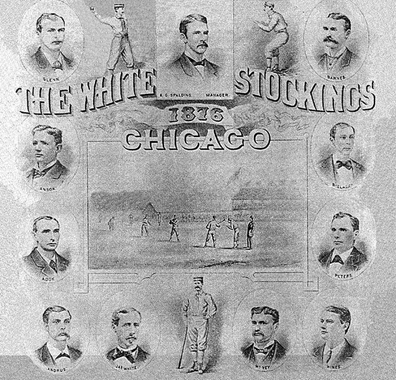 The Chicago White Stockings (today’s Cubs) beat the Hartford Dark Blues 16-10. Because Chicago ends the season seven games ahead of the second place St. Louis Brown Stockings, they are declared the champions. Among the players on that team: Hall of Famers Albert Spalding (a 47-game winner that season) and Cap Anson (who batted .356). Neither of them are the biggest star of that team, however. That honor goes to second baseman Ross Barnes, who leads the league in hitting (.429), runs, hits, doubles, triples, and walks. Of course, modern day fans would barely recognize the 1876 game because they play with very different rules. Very different. For instance, the pitchers mound is only 45 feet away from home plate. The pitchers throw underhand, and batters can request either high or low pitches. If a ball bounces over the fence, it’s a homer…and some fences are less than 200 feet away from home. It also takes nine balls to get a walk, and a foul ball is an out if it is caught on one bounce. Like we said, very different. But a championship is a championship, and no one can take away Chicago’s glorious 1876 title. September 25, 1965. 59-year-old Satchell Paige pitches three innings for the K.C. Athletics against the Boston Red Sox. He only gives up one hit, a double to Carl Yastremski. The Cubs beat the Pirates 6-3 at Wrigley Field. The manager of the Cubs is Lou Klein, who is twelve years younger than Satchell Paige. September 26, 2008. Legendary actor Paul Newman dies in Connecticut. The Cubs are in Milwaukee losing to the Brewers 6-1. The loss is unimportant because the Cubs have already clinched the division title and best record in the National League. September 27, 1930. Bobby Jones becomes the first winner of Golf’s Grand Slam, by winning his fourth major tournament of the year. The Cubs beat the Cincinnati Reds 13-8 at Wrigley Field for Pat Malone’s 20th win of the season. Hack Wilson hits two homers (setting a long-standing NL record in the process—56 homers), and knocks in four runs (and now has 189 RBI for the season—another record), but it’s too little, too late for the Cubs. They were eliminated from the pennant chase the previous day, after blowing a big lead earlier in the month. Manager Joe McCarthy pays for the collapse with his job. September 28, 1941. Ted Williams finishes his season with the Red Sox, and becomes the final hitter to hit over .400 in a season. He doesn’t win the MVP—Joe DiMaggio does. The Cubs finished their season as well, with a 3-1 loss to the Cardinals at Wrigley Field. 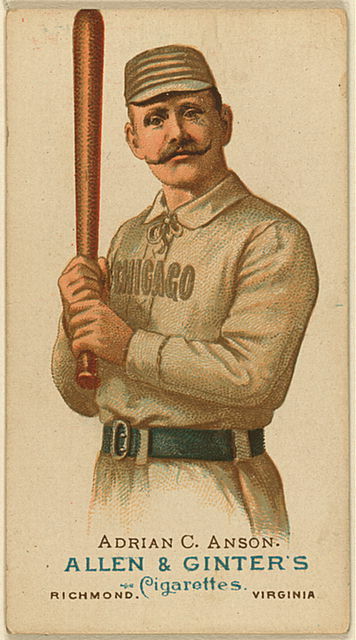 The Cubs leading hitter, Stan Hack, finishes the year batting .317. September 29, 1907. Gene Autry is born in Texas. He will gain fame as “The Singing Cowboy” and later become the original owner of the Los Angeles Angels. The Cubs are gearing up for the World Series by playing a double header in Chicago. They have already clinched the National League pennant, so they aren’t too disturbed by losing and tying the games to the Brooklyn Superbas at West Side Grounds. September 30, 1938. Adolf Hitler signs a pact with Neville Chamberlain in Munich, allowing Germany to keep Czechoslovakia in exchange for Germany’s agreement not to invade any other countries. The Cubs/Cardinals game is called because of darkness in St. Louis with the score tied 7-7. The Cubs have three games left to play and lead the Pirates by 1 ½ games. October 1, 1949. Mao proclaims that China is now the People’s Republic of China. The Cubs beat the Cardinals 3-1 at Wrigley Field. Bob Chipman pitches a complete game for the Cubs.